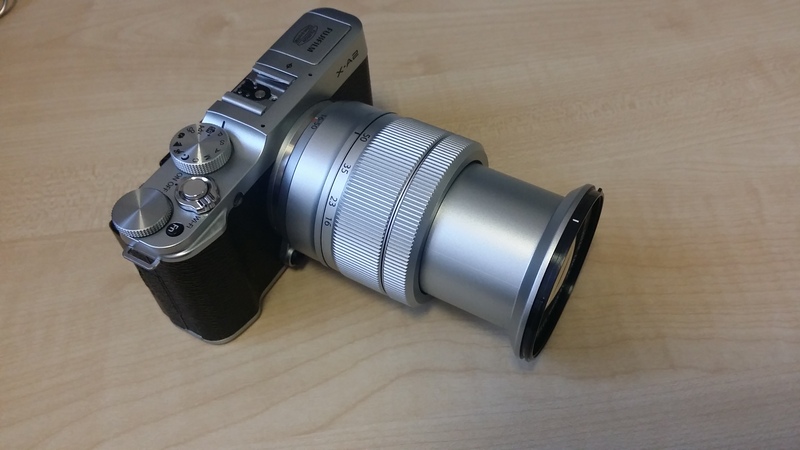 This week, we chatted about the Fujifilm X-A2 Mirrorless Compact Camera. This is a camera that is aimed at the mid point of the market, but has the features of the ‘X’ series . We have the camera for a few weeks and will be revisiting it shortly to find out if it lives up to it’s hype. Thanks to Fuji for the loan of the camera, they have been extraordinarily helpful as ever. This week we chat about MiFi’s or mobile wireless which allow you to connect your laptop and gadgets to a wifi network anywhere where you can get mobile coverage. The Huawei E5756 is perfect for people who commute a great deal or even better for long family journeys as it gives you a wireless network, so you can stream music, upload files and browse the web. Listen in to find out more about the Huawei E5756. Many thanks again to Jocelyn at Cow PR for supplying us with the E5756 and the Sim card too! 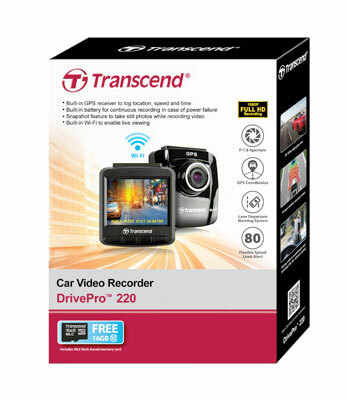 This morning I talked about a very useful dash-cam, namely the Transcend DrivePro 220 in-car camera. The camera boasts an incredible F1.8 low aperture super wide lens with a hefty 16GB memory card on-board. The camera is however much more than simply a way of recording your journey (and any unfortunate events), it also features ‘lane departure warning’ and ‘collision warning’ and speed warning systems. I found it very able and the picture quality was outstanding. If you would like to find out more, listen in to the link above and find out what I thought! You can find out more information about Transcend and its other products by liking their Facebook page or following them on Twitter. Thanks to Mickaela Noone at Transcend Information Europe B.V for the loan of the product. We had a very exciting weekend at Silverstone for the World Endurance Championship Qualifiers, namely 6 Hours of Silverstone which is the UK heat of the WEC which culminates in the world famous 24 Hour race at Le Mans. 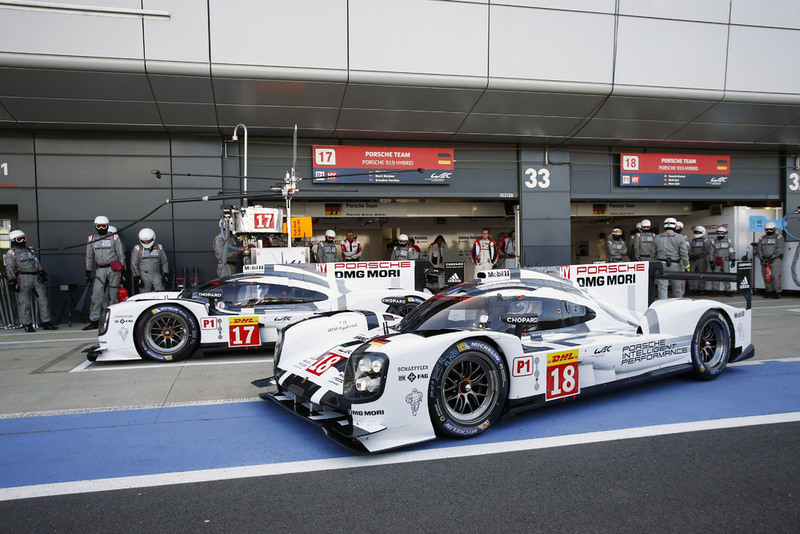 The WEC LMP1 class now uses hybrid technology and following on from our series of electric and hybrid car reviews, we were interested in finding out what Porsche were doing in this area. Porsche Motorsports very kindly invited us to be their guests for the day and we were able to interview drivers, Mark Webber & Michael Christensen, plus we were also able to chat to Porsche LMP1 Technical Director Alexander Hitzinger about the technology around the car and what the future holds for us in an increasingly electric world. 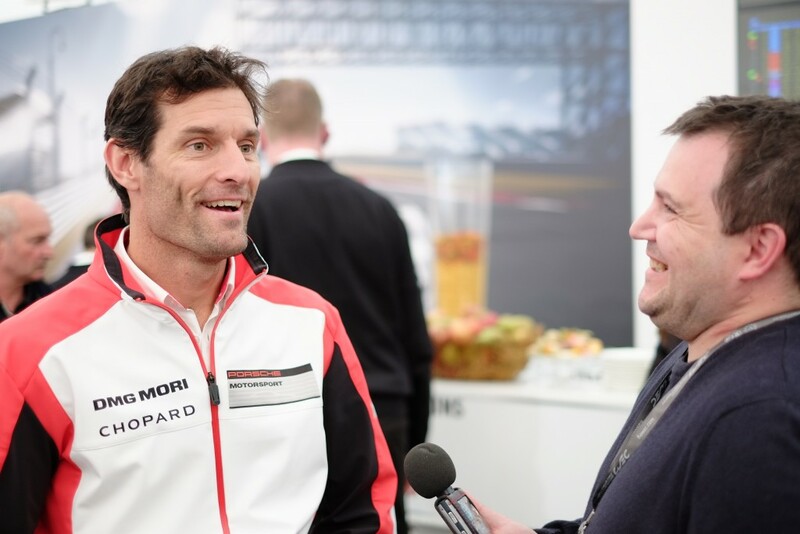 To hear the interview, tune in to BBC Radio Suffolk on Monday 20th April 2015 at 11:40 and find out what Mark Webber thinks of the all new hybrid technology and how it will eventually effect us in production cars to come. This week I talk to Rachel Sloane about the amazing Ollie from Sphero! Ollie is a very clever robot toy, controlled using Bluetooth from a smart phone app. We loved playing with Ollie in the studio, listen in and find out what Matt thought of it. I previously reviewed the Sony Smartband and thought it was one of the best wearables of last year. 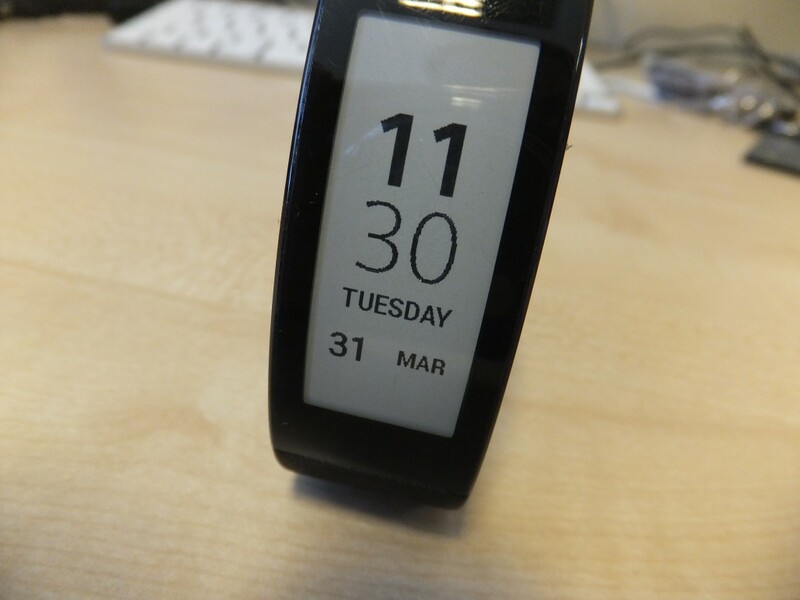 This week we look at it’s latest iteration which is the Sony Smartband Talk. Yet again, it’s a great product for monitoring activity and more! The ‘more’ being, the lovely e-ink screen and bluetooth headset technology. I really rate these products as a means to motivate people to be more active and the Smartband Talk does this with that added bit of ‘cool’. Listen in to what I thought of it and hear about some of our listeners that are using the same products. There are two versions of the video, the first was produced by the Kodak software. You will notice the black bar, this displays because this area is not filmed by the camera. I was really delighted to be able to record todays episode of The Gadget Man in the studio with Mark Murphy. The camera is very easy to setup and get going, not so easy to get the footage onto YouTube, this however is more to do with Youtube. I shall be reviewing the camera over the next few weeks, in the meantime enjoy the video. You will need YouTube of Android or Google Chrome to be able to see the 360 effect. Today we look at one of the newest of the Android Wear devices to hit the market. We’re looking at the Sony Smartwatch 3. A great device with an amazing Transflective display. If you are looking for an Android compatible smart watch, then the Sony Smartwatch 3 could be for you. Listen to the stream and find out what I thought of it with a nice little demonstration live on air!! 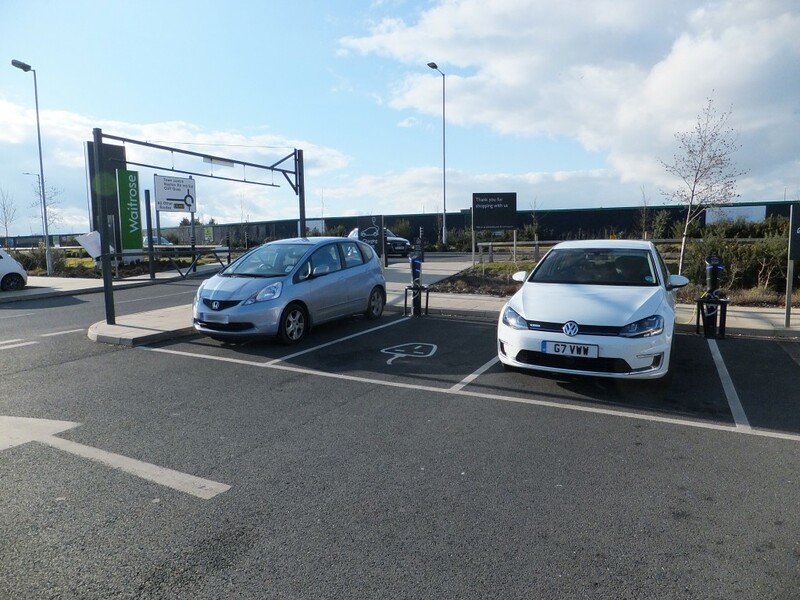 This week we talk about at the Volkswagen e-Golf, a really superb electric vehicle which successfully bridged the gap from traditional petrol or diesel car to fully fledged electric car. This really was a superb vehicle on every level, the handling was just amazing. It was incredibly easy to drive and once I had got the handle of ‘Park Pilot’, that too was amazing. A really great car, and a head turner too!. Thanks to VW Press Office for supplying the car with everything I would ever need and thanks to the two delivery drivers who were equally polite and helpful. Dont forget to listen to the stream above, and wait for the full review coming soon! 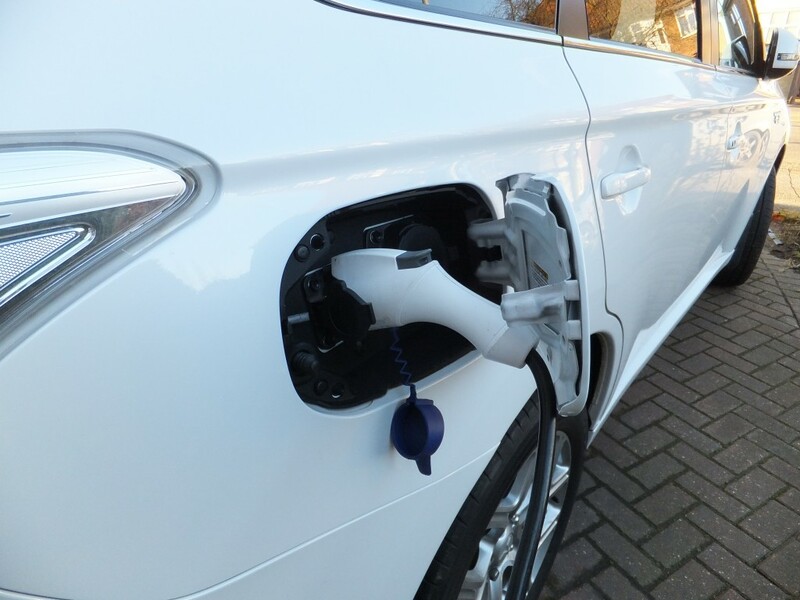 This week I chat to Mark about the Mitsubishi Outlander PHEV an absolutely superb four wheel drive plugin hybrid electric vehicle. I loved driving this vehicle, it was so easy to drive and manoeuvre and is packed to the brim with it’s own gadgets. Listen to the stream and find out more, a full in depth review is coming soon on here, so keep checking back!! Thanks to Mitsubishi Press Office for being so kind by lending us the vehicle!! We also chatted about blocked charge bays at Waitrose. This is something I continue to witness (see above, the Golf is fully electric).